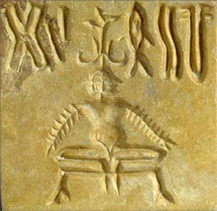 But the symbols found on many other ancient artifacts remain a mystery, including those of a people that inhabited the Indus valley on the present-day border between Pakistan and India. Some experts question whether the symbols represent a language at all, or are merely pictograms that bear no relation to the language spoken by their creators. Rajesh Rao, a University of Washington computer scientist, has led a statistical study of the Indus script, comparing the pattern of symbols to various linguistic scripts and nonlinguistic systems, including DNA and a computer programming language. The results, published online by the journal Science, found the Indus script's pattern is closer to that of spoken words, supporting the hypothesis that it codes for an as-yet-unknown language. "We applied techniques of computer science, specifically machine learning, to an ancient problem," said Rao. 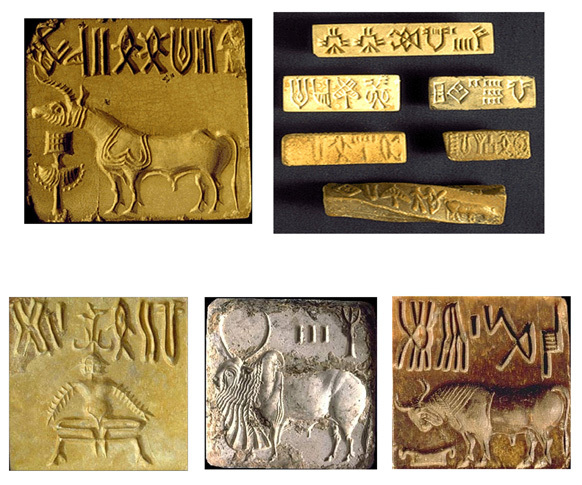 "At this point we can say that the Indus script seems to have statistical regularities that are in line with natural languages." Co-authors are Nisha Yadav and Mayank Vahia at the Tata Institute of Fundamental Research in Mumbai, India; Hrishikesh Joglekar, a software engineer from Mumbai; R. Adhikari at the Institute of Mathematical Sciences in Chennai, India; and Iravatham Mahadevan at the Indus Research Center in Chennai. The research was supported by the Packard Foundation and the Sir Jamsetji Tata Trust.